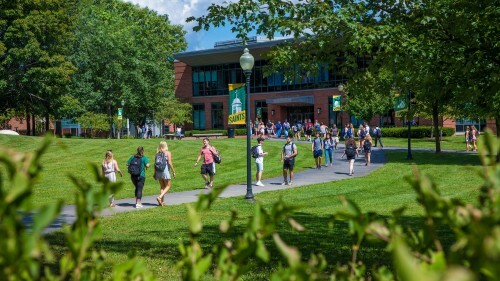 Ensuring that every single student experiences a meaningful internship is something we take seriously at Siena—so much so, that we created an Office of Internships that acts as a clearing house for all things interning. (If you haven't already, meet our Director of Interships Alica Pepe!) At our most recent annual Student Internship Panels, various Saints shared their thoughts and tips. Here's what they said. Ashley Metz ’18, an environmental studies major who interned with Hudson River Black River, used LinkedIn to find an internship. Someone reached out to her, and the rest was history! 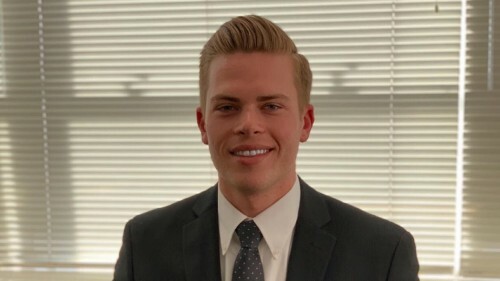 Matt Curtin ’18, an accounting major who interned at The Bonadio Group, said "The career fair is great for business majors.” When he went as a freshman, he talked to a few companies who remembered him and reached out years later, when he was seriously pursuing positions. 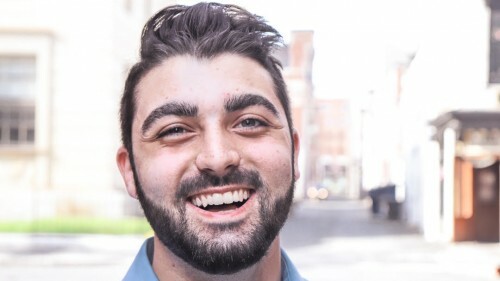 Josh Deyo ’18, a marketing major with an internship at Enterprise Rent-A-Car on his resume, stressed the importance of a one page resume, suggested using special resume paper to stand out, and reminded the audience to arrive 10-15 minutes before an interview. All panelists said that they put their resumes together during their freshman year to get ahead. Kylie Mason ’18, a history and political science major who interned with Siena’s Summer Legal Fellows, advised those who are going into a legal field that skills have to be presented in a physical manner. On your resume, give examples of how a skill is backed up. In other words, don’t just talk about it—demonstrate it! Matt said that in accounting and business in general, you have to be able to quickly learn on your feet and effectively communicate—this goes for the interview phase and beyond. Ashley recommended that interns have a can-do attitude. Show your employer that no matter what they want you to do, be willing to do it. Julie Azadian '18, a senior marketinig major who recently finished her internship with Twill—a for-profit company that gives 51 percent of its proceeds to charity—also shared her experience in a quick q&a. Take a look. Q: First of all, tell us a little bit about yourself and your team. A: I’m a senior marketing major. My teammates are Allycia Woodruff and Dominick Paciello, who are also marketing majors. After school, I’m thinking about going into fashion or retail! A: Twill is a for-profit company. However, with everything we sell, we give the consumer the option to give 51 percent back to local organizations who are our “giving buddies”. We get to choose where these hats’ profits go to. Our big thing is “give where you live,” so they’re all local organizations. This semester, we gave to Boys and Girls Club of America. Q: What got you interested in interning at Siena? A: I wanted to make more connections. I’m not from around here, so I wanted to get more experience. I’ve only had one internship, in the summer, so I wanted to do more. Q: How did you find out about Twill? A: Siena’s online employment database, CareerSaint. I applied to a few different positions but I liked Twill’s message. Q: How has your experience with Twill been? A: Awesome! It’s been really different; before this I worked in retail for Dress Barn’s corporate office. With Twill, we’ve been selling for only four years, and it’s more hands-on. Q: What do you envision for your future or the company’s future? A: I hope it continues and that we get new interns next semester. I’ve grown so much. We also give back to the community and make change that way. Let's talk more about you and your future internships. Come see us anytime!